Now that you’ve had an opportunity to read all about myself and Moms & Munchkins on the About page, I’m so excited to introduce you to our other blog contributors. The Moms & Munchkins community is quickly growing! 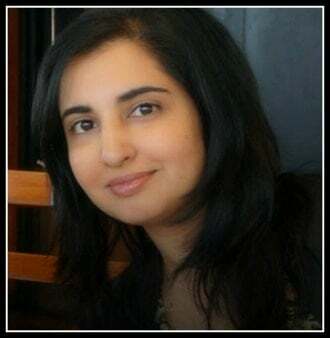 I have a fabulous team of blog contributors that all offer unique viewpoints and creativity to the blog. They have been a tremendous help to me and our readers love what they’ve been sharing. As you know, I love a good party! I am so excited to introduce you to our four party writers. I handpicked each of these writers myself and I crossed my fingers that each would say Yes! Each of our Party Tip Tuesday writers will contribute one party-related tutorial each month. These four ladies are filled with creativity and I guarantee that you are going to love their ideas! Dawn is filled with so many creative party ideas that won’t exceed your party budget. She is great for putting together fabulous ideas that even the non-crafty (like myself) can put together. 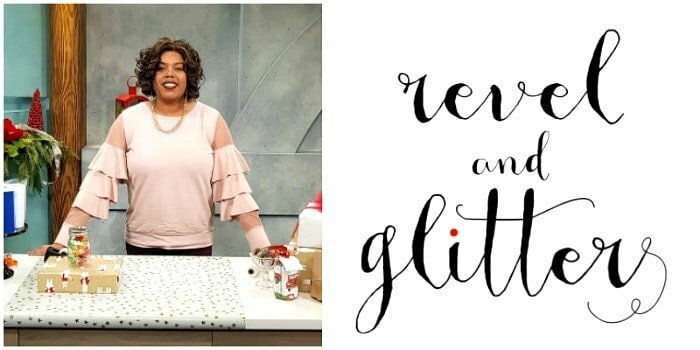 Be sure to check out her blog Revel and Glitter and follow her creative ideas on Facebook, Pinterest, Twitter and Instagram. My name is Dawn and I’m a mom to two wonderful boys, proud Marine wife and the owner of a very hyper mini schnauzer. I started blogging in 2008 to share my passion about entertaining, event planning, crafts & lifestyle! Working with major companies like Popsicle, Nickelodeon’s ParentsConnect, Wrigley’s, Party City and more, I love to share creative ways to entertain and celebrate all types of occasions with my readers. I welcome you to follow my crazy! My philosophy is every event is a celebration…and you don’t have to break the bank to do it! I was introduced to Samantha through our other cookie decorating tutorial writer – Amy – and I immediately fell in love with Samantha’s work! 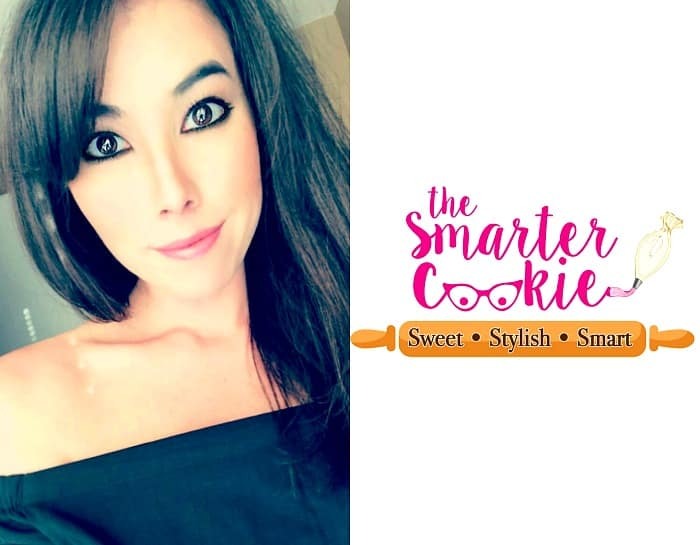 Take a peek at The Smarter Cookie Instagram account for her cookie designs and you’ll quickly see why! Hi! I’m Samantha! As a self-taught cookie decorator, I thrived on reading online blogs and watching tutorials, so I am excited to be here teaching my own tried and true techniques! Since beginning this journey in 2011, I have been fortunate to work with various fashion and cosmetic clients ranging from Saks Fifth Avenue, Lord & Taylor, Estée Lauder, Clinique, and Glamglow. There is no greater feeling than bringing a client’s vision to edible life! When I’m not covered in flour and cookie dye, I work full-time running a medical practice. My most important job, however, is to serve as a taxi driver (and often times, a referee) to my two vibrant, fun-loving children, Jacob and Madelyn. I look forward to sharing my decorating techniques with you and hope you take away some tips that will make your cookie decorating experience enjoyable! *Please note: Amy is currently taking a break while her family is in the process of moving. * I was searching for someone to write cookie tutorials but I was having a tough time finding the right fit. One day I was on Instagram and I found someone with beautiful cookie designs and I thought “If only I could find someone like this to write for the Moms & Munchkins audience”. 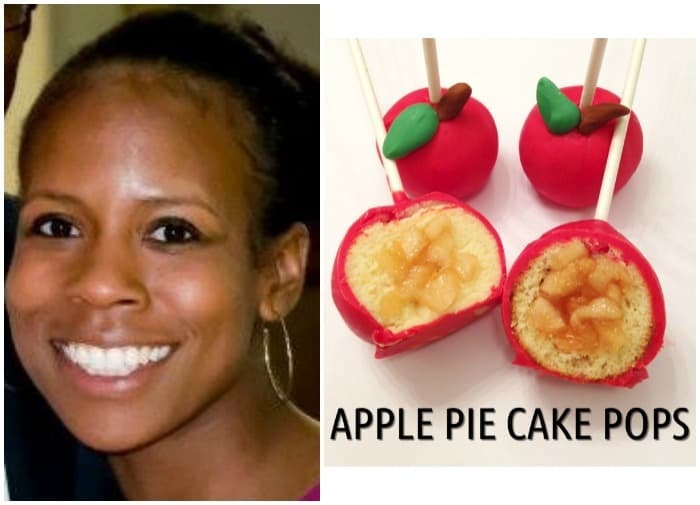 At the same time, Deanna (our fabulous cake pop tutorial writer) was sending me a note about someone she knows that would be a great fit and guess what…it was the same person I saw on Instagram! Needless to say, we’re thrilled to add Amy to our group of contributors! 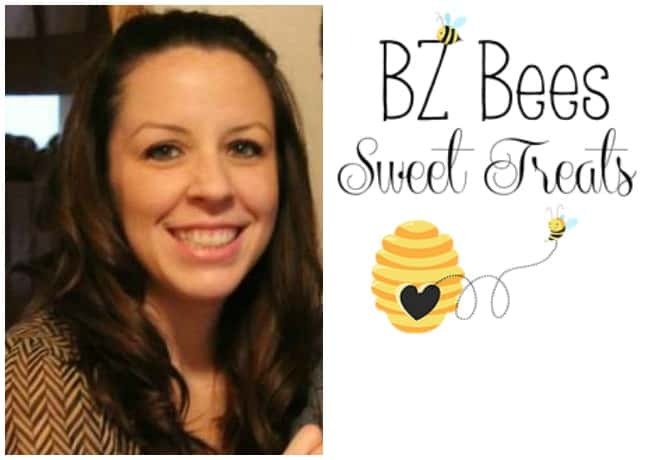 You can view more of Amy’s amazing work on her BZ Bees Sweet Treats Instagram page and her Facebook page. Hi! I’m Amy- a happy wife of nearly 9 years, and mother of two fun-loving children ages 2 and 4. In the past year, I’ve jumped head-on into the world of cookie decorating and have been having so much fun! Its a world full of late nights, floors covered in flour and powdered sugar, and hands nearly always stained from food coloring. But, I wouldn’t have it any other way! What started out as an experiment for my daughter’s first birthday has grown into a pretty successful home-based business. I love learning new techniques and challenging myself to make every cookie just a little bit better than the last. I look forward to sharing this crazy cookie world with all of you! You know those party ideas you see on Pinterest and you think “That is so clever – why didn’t I think of that”? Those are the types of fabulous ideas you’ll find on Chantelle’s blog Dolled Up Design. We’re thrilled to have Chantelle as part of our Party Tip Tuesday team! Make sure to pop by her Facebook page to say Hello! Hi, I’m Chantelle. I am a Pinterest loving, party planning, bargain hunting, DIYing mom to two wonderful munchkins – Camden and Keira. I have a degree in graphic design and love all things visual. I have discovered my kid’s birthday parties to be the perfect outlet for my many interests and hobbies – graphic design, paper crafts, baking, photography, and, of course, shopping! I am not sure where my love of party planning and blogging is headed, but for now I am enjoying being able to share my creative ideas through Dolled Up Design while spending my time at home with my kids and two dogs. Karen loves testing her unique ideas in the kitchen and she’s very excited to share her cake pop tutorials with you! Do you follow her yet on Instagram? You’re going to love her unique creations! She’s always coming up with fun new designs, trying out new flavors for filled cake pops and more. Hello, my name is Karen. I am the proud mother of two beautiful boys (a toddler and baby) and wife to a wonderful husband. As a working mom who loves to bake, I don’t really have a lot of time and so I’m eager to show you some of the tips and tricks that I have learned to make it seem like you be slaving in the kitchen for hours. Also, being new at the cake pop game, I am looking forward to sharing some of my trials and errors as I experiment with new techniques and ideas. I am so thankful to have met Leila! She is a creative party designer, she is my new web designer, she’s incredibly sweet and she’s another Canadian gal! Just wait until you see the party designs we’re working on together – you’re going to love her work! 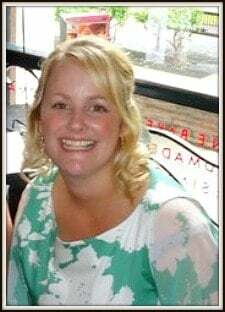 My name is Leila and I am a stay-at-home mom, MOMpreneur, crafter, foodie, lover of things all shiny and live in the Southern most part of Ontario. I own A Little Pixel, a party theme printables shop where I hope to inspire others to throw awesome themed parties of their own. As if being a mom to an awesome preschooler isn’t enough, I also freelance as a web developer/designer, blog about What I Adore, sell handmade gifts, and have been a crafting junkie ever since I could remember. I am so excited to be joining the team here at Moms & Munchkins and look forward to working with Cheryl and her creative vision. We’re so excited to welcome Wendy to the team! Wendy is a talented party printables designer that loves taking on new challenges and I have so many ideas that I’m excited to partner with her on! You can check out more of Wendy’s ideas on her Wendy’s Printable Party Etsy shop and her Facebook page. Hi, I’m Wendy and I live in a small town near Manchester England, owner and creator of Wendy’s Printable Party, part time legal secretary and mother to a gorgeous son. I have a passion for creating unique items that has grown through play time at home with my son to a growing business that gives me pleasure with the knowledge these creations may help be part of a happy a memorable day for others. I enjoy creating new designs and always thrive on a challenge! I am so excited and pleased to be joining the team as “Printables Designer” for Moms & Munchkins. Cheryl and I have more in common than just our first names! We both used to work for engineering companies before becoming work-at-home moms, we are both bloggers, we both live in Canada (although too far away for regular coffee dates), we have sons that are very similar in age and we both have a love for travel. Hi! 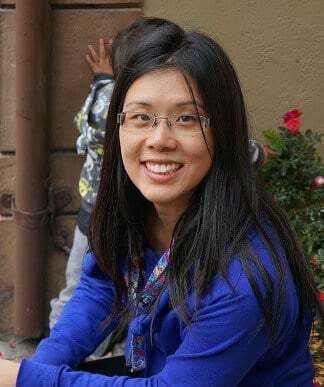 My name is Cheryl and I’m very excited to be contributing to the travel section here on Moms & Munchkins. I’m an engineer turned work-at-home mom based in Toronto, Ontario where I share memorable travel moments and life between flights on my blog Kids On A Plane. I was bitten by the travel bug early on in life after my first flight in the 1980s when my parents took my siblings and I to Walt Disney World (there, I just dated myself!). I’ve been back 16 times since that first trip and these days it’s with my two children and husband. We’ve been fortunate enough to explore parts of North America, Asia and the Caribbean together to learn about our family’s history and meet long lost relatives. We’re constantly seeking the sun and I’m always on the hunt for a good latte – these are young children I’m travelling with, you know! Beach days, museum visits, delicious dishes and theme park adventures – these are the things my family’s travels center around. Do love you to travel with your kids? I’d love to hear about your favourite destinations and your travel tips! Mary & I first met on a press trip to Kissimmee in 2015 & I was immediately a fan! I knew she’d be a great addition to the Moms & Munchkins travel writing team. She’s enthusiastic about all of her adventures and you can see that through her writing & photos. You can read about her travel adventures on Calculated Traveller.